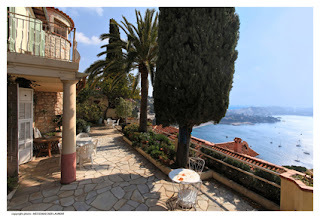 'What are property prices doing on the Côte d'Azur and what will they do?' This must be one of the most frequent questions I am asked by clients on a day to day basis. Well, the latest property prices for the Côte d'Azur have just come out and as usual it sends out mixed messages to both buyers and sellers. The agents in Nice all want to hype the market up but the reality is that the prices in their shop windows are often far from realistic given the quality of the properties. One can calculate an average square metre price as a starting point, and for the statistic fans, this is currently between €3,500-5,889 per square metre. But check the agents' pricing for central Nice and 'average' doesn't seem to figure in their world. This is partly optimism on their part, but it is also combined with a busy market. However, there are many more variables that must come into the equation, and these can't be calculated as an 'average' price. This makes the square metre average in Nice - and the Côte d'Azur generally - a difficult figure to pin down. It will depend on the neighbourhood, the street in the neighbourhood even. Besides location, most important is the state of the building and the position of the apartment - what floor it is on, if it has a balcony or terrace, etc. Then there is the charm factor and view. The top-end average of nearly €6,000 per square metre suddenly becomes redundant if you have a nice-looking building in a prime location with caché (high or top floor, good size terrace, not over-looked). I have been busy with several searches in Nice and along the coast recently. I feel slightly schizophrenic as I have searches on the go both for large prime location villas as well as small pied-à-terres. As I swing between the two, what I notice is that in the smaller budget range there is a lack of understanding by both agents and sellers about what makes a great property. It is not so much that the properties are over-priced (which often they are - but usually at the behest of the unrealistic owner rather than the agent), but that at any price I would not want my clients to buy them. Simply, they do not stand out. They may be in a good location, but they miss something - that something that is so hard to describe as often it is just a feeling. An apartment can be 'right' or 'wrong' and it is hard to say exactly why. Needless to say, I drive the agents crazy with this undefinable criteria. Agents generally want to tick lists. Two bedrooms, check. Balcony, check. Central location, check. Lift, check ... But you can't tick a box that says 'this just makes me feel good but I have no idea how to put that into words'. This is what I am looking for in my searches as much as all the important factors such as location and investment potential. I love a view and I love finding properties for my clients that have a view, or if not the perfect view, then at least something that will make their apartment or villa special. Obviously in the smaller budget (under €400,000) this is a tough task. Drop below €250,000, it becomes even harder. But get the ingredients right and you will have a great apartment rather than an ordinary one. That is why I am particularly proud of my last search. A budget of around €200,000 is always a challenge on the Riviera if you want more than a shoebox, but I found a perfect pied-a-terre. 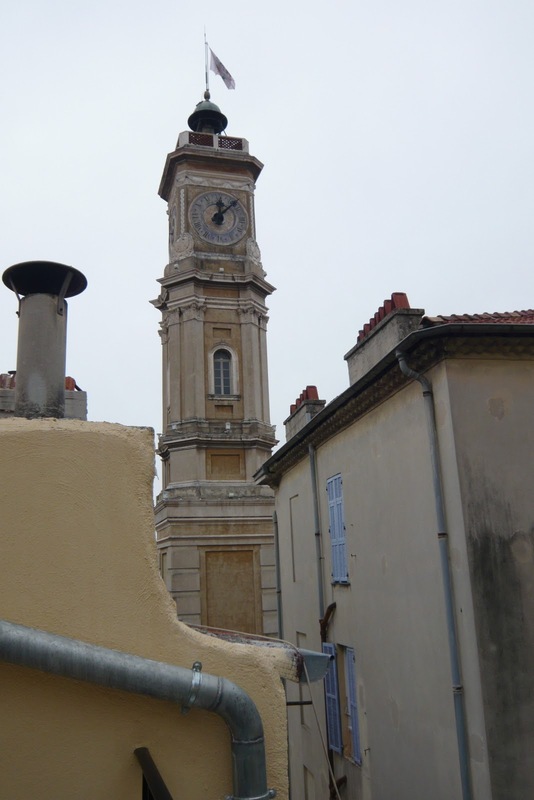 It has a fabulous full-sized terrace in Nice's old town - which is very rare. Nicely renovated with all new electrics etc, it's also on the peaceful side of Vieux Nice away from the hustle of the market Cours Saleya and Palais de Justice. The building is in great condition, which is also a find in this area. And it has a very romantic view over the old terracotta roof-tops and looks over to the tower of an ancient church of the quartier. Price per square metre: at the higher-end of the Nice average, but nonetheless an excellent buy. Happiness factor for my clients: hopefully priceless. Indeed a beautiful find. Great work, Rebecca!